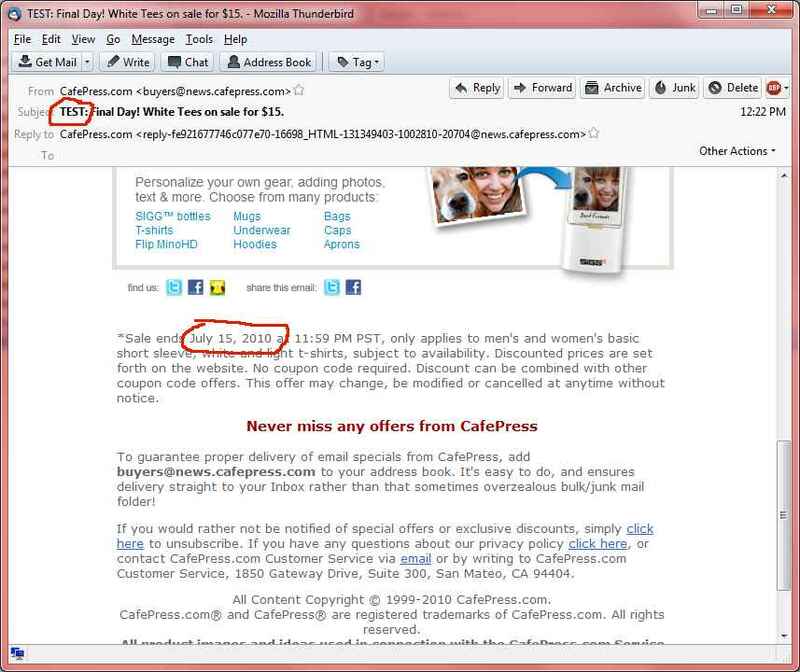 Strangely enough, this email offer has an expiration date of July 15, 2010, so either it fails because the date has not changed or it spectacularly fails because it is actually a two-year-old email that was caught up in the mailing software somewhere. Hey, speaking of Cafepress, don’t forget to hit the QA Hates You swag shop. This book is a fifty-year-old British study of bureaucracy. The author was a naval historian, and he starts the book with the often quoted Parkinson’s Law, which is that “Work expands so as to fill the time available for its completion.” The book is full of insights like that, and the tone is one of a scientist studying the bureaucracy. Did I say “tone”? I meant schtick, as the style is actually very cheeky, a middle twentieth century Dilbert if you will with scientific jargon instead of talking animals. “Parkinson’s Law, or The Rising Pyramid”, which coins the law noted above. It’s not just talking about the nature of tasks, but also in hiring people when one person’s workload becomes too much. The manager cannot spread his work to a rival, and he cannot hire just one person, since that person would become a rival. So he must hire two people who couldn’t do his job half as well as he could, and the management overhead will consume and savings on the actual effort to do the job. “The Will of the People, or Annual General Meeting”, which explains how decisions in parliaments are made by identifying the inattentive members who don’t grasp the issues and working on them with techniques based upon their personality types to get them to vote your way. “High Finance, or The Point of Vanishing Interest”, which describes in the term of finance how large line items will get a precursory glance and consideration, but smaller items will get more attention than they deserve. He uses the examples of the cost of building a new nuclear plant, which will get only a couple minutes of a committee’s time because most are ignorant of the considerations involved and don’t want to expose their ignorance, but the committee will spend a lot of time going over the expenditures involved with individual meetings or parties because they all know about parties and coffee. The triviality of the cost savings inflates the efforts on their behalf. It might sound silly, but, brothers and sisters, I have sat in meetings for hours discussing Times New Roman versus Garamond and establishing a business case for a $35 piece of software. “Directors and Councils, or Coefficient of Inefficiency”, which discusses the proper size of a council or a committee before it becomes powerless and gets supplanted by another committee actualy doing things (and on its way to growth beyond efficient action). It could be a good primer on limiting meeting sizes. “The Short List, or Principles of Selection”, which discusses the shallow and arbitrary ways hiring decisions are made and the proper technique for creating a job posting for the best effect, which is not to bring in a wide variety of applicants, but is instead designed to ideally bring in the only candidate with the skills you need crazy enough to work for you at the low salary you propose. It does explain a lot of what I see on Dice and Craigslist. “Plans and Plants, or the Administrative Block”, which explains how most efficient companies and organizations operate from ramshackle and borrowed space. By the time they get big enough to build a campus or building to hold themselves, they’re sclerotic. With historical examples. “Personality Screen, or The Cocktail Formula”, which posits a scientific notation for the ebb and flow of people at cocktail parties based on the individuals’ importance and influence. “Injelititus, or Palsied Paralysis”, which describes how organizations become comatose when they start to embrace mediocrity, and how that becomes self-fulfilling. “Palm Thatch to Packard, or A Formula for Success”, which looks at the rise to wealth of Chinese peasants, who must mask their growing wealth until such time as they can befully open with it and dismissive of the dangers associated with wealth. “Pension Point, or The Age of Retirement”, which explains that the proper retirement age does not depend on the person in the position, but in the age of that person’s successor. Then it offers techniques for pushing the old-timer out. Less relevant now that we don’t tend to retire from positions. Well worth a read. It’s funny, and you can probably see elements of your organization or organizations with which you’ve worked. This warms my heart almost as much as when someone searches the Internet for a sample test plan. It’s already known in St. Louis, Missouri, and pockets of Chicago. Tomorrow, the entire Midwest. Next week, the nation. Quicksand’s got no sense of humor/I’m still laughing like hell. Let’s start this week on a good note. “Riot” by Three Days Grace. Now, if you’ll excuse me, I’ll be logging a defect against the band’s name. One of the advantages of working as a software quality assurance/testing consultant (and before that as a full-time employee with the propensity to job-hop) is that one gets quite a knowledge of a variety of industries. To my surprise, he was not in IT per se, but he was a chemical engineer. I asked what sort of software he used for modeling, and I could talk about some of the challenges of testing that sort of software because I’d done it, albeit for a more pharmaceutically minded company. I got to learn a little about his challenges, too, and what he does day-to-day as a user. After he disembarked, I talked a bit with the driver of the shuttle, a retired employee of the local wastewater treatment plant. As I’ve tested a wastewater treatment district’s Web site (remember the classic Make Your Software Development Process More Like A Sewer? ), I could understand what he was talking about when he told me about the machinery and equipment he operated and its part in the treatment process. One of the best parts of this job is that I get to touch so many different projects in so many different industries and to learn so many different things and businesses that the actual testing and application of testing knowledge is always fresh. And it makes excellent conversation fodder. You are currently browsing the QA Hates You weblog archives for June, 2012.